Golfers what is the best putter for you? Take a look at this putting stroke! Golf has proven to be a popular sport throughout the years, with some engaged in the sport professionally while others mostly turn to it as a hobby. Regardless what your reasons are in playing this sport, the truth of the matter is that it requires a good investment in terms of time and equipment. Come to think of it, this sport requires more specialized gears than most traditional sports. As such, it would be a good idea to invest well. In the case of golf, a good set of clubs could turn out to be your new best friends and partners in victory. A Putter for Your Golf Game. Golf relies on a variety of different shots in order to guarantee a good game. Depending on the scenario, which usually depends on the distance and complexity involved, clubs of different sizes and specs could prove to be necessary to maximize the effectiveness of your shot. Face-on putting, for example, could also be done with traditional golf clubs. Even so, most players decide to trust a specialized club called a putter to efficiently do the job for them. Putting face forward is a deviation from traditional golf shot techniques which mostly involve swinging from the side. Also referred to as the side saddle technique, a face on putt is done by pointing the putters on a vertical position, with the shaft pointing straight down to the ground. The body is facing the ball instead of tilting sideways. Unlike traditional side swings, a face on putt allows the player to concentrate more on the ball and the hole by maintaining a straight line of vision. After adopting this stance, you then proceed by gripping the putter with one hand, positioning it just in front of your chest. Your other hand goes directly behind the grip, offering solid support. Because not all players are right handed or of the same height, it is just proper to make sure that you get putters that are of the right length and of an orientation that would support you regardless if you are right or left handed. There are several product lines available online, offered by different brands, that cater to different types of player. Some even offer custom-built equipment to suit your needs. 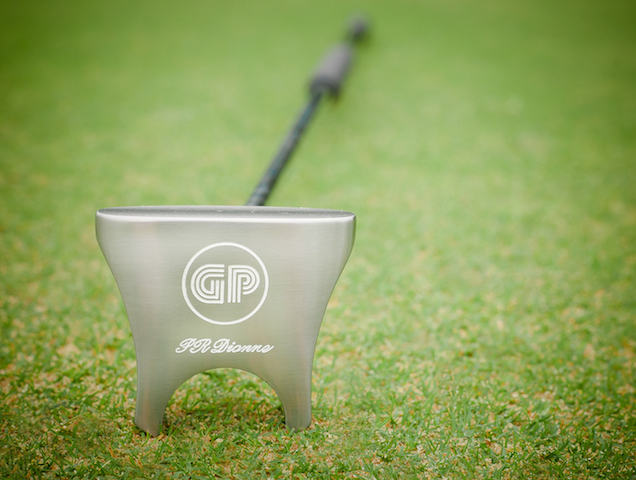 The face-on GP putter, for example, comes in different lengths and orientation for both left and right handed individuals. Aside from this, it would also be to your benefit to choose one that maximizes functionality in terms of overall features. Several useful characteristics would include a tracking line that guides the eye down the target line, a sweet spot that could be distinguished both by look and sound, a toe and heel design deemed perfect for a pendulum swing that is essential in terms of lie angle and vertical positioning. Because it’s such an important part of your golf game, you want to choose and find the best putters available for yourself. There is probably nothing more frustrating in golf than getting yourself on the green in a few short strokes only to struggle to hit the pin from there, so of course you don’t want to neglect your clubs and your technique as well. Even though your swing may not be as powerful when you’re putting, you still need to be mindful of the grip of your clubs and its weight. Because most people have a tendency to hunch over a bit while putting, the best putter for you will be one that accommodates this extra force and that gives you the direction you need with your stroke. 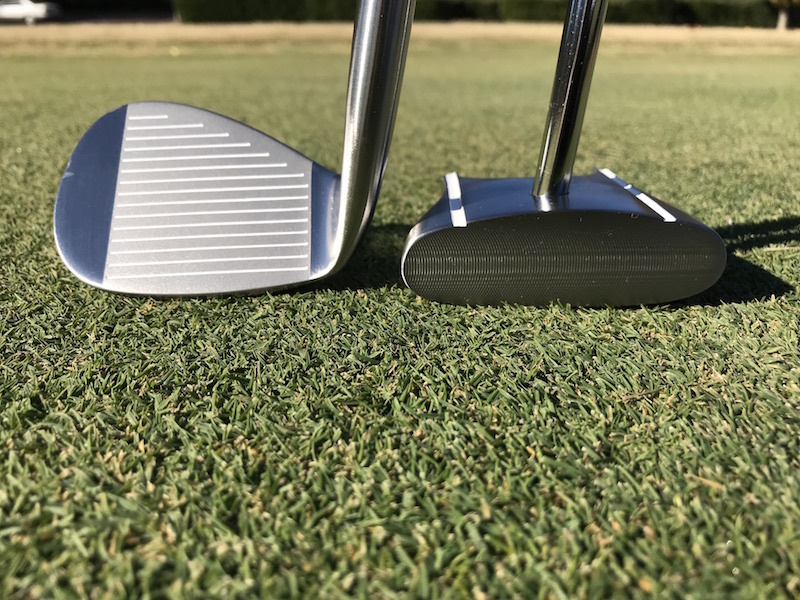 A good club won’t be overly heavy since control and not distance is typically best for putting, but the best putter for you will be one that’s comfortable for your size and skill level. To find the best putters for your game, consider a few simple tips in this regard. Putting yips cure is simple to fix on the putting greens at the golf courses with the GP putter. Place the golf balls about a few inches in front of you on the right side if you are right handed. Make sure your golf shoes are not in the way of the putting stroke. Find a straight line and practice from about 6 feet until you succeed about 80% of your putts. You could always practice on a indoor putting mats. The GP putter grips is perfect for the pencil grip. This golfing tips will be curing the yips on the putting green for you.There are no guarantees that you’ll improve your overall putting but if you consider these things carefully you may find that you can shave off at least a few strokes every time you’re out. There are reasons why clubs come in different lengths and reasons why amateur golfers often have back problems – those clubs are meant to accommodate different heights and arm spans for everyone. The best putter for you will be one that doesn’t require you to hunch over or reach too far in front of you, and that still feels comfortable with the weight on the end. 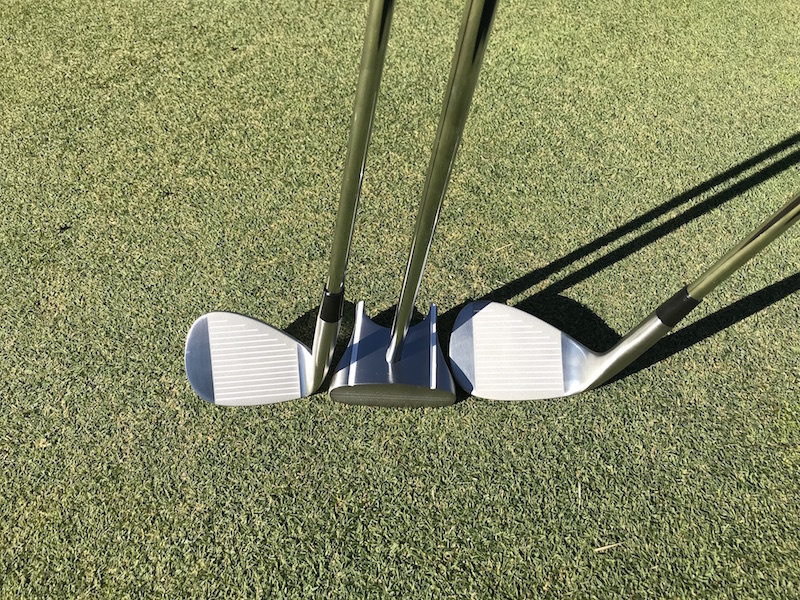 While your stance for putting is different than you stance for a regular swing and you do typically curve a bit over the club for a straight stroke, the best putter will be one that accommodates your height in particular. Notice the stance of pros when they’re putting and see where and how they grip their club; the best putter for you will be one that allows the club to swing freely, like a pendulum. Try out a few in the store before purchasing, and never get one that feels too heavy. The best putter is one that simply taps and guides the ball, not one that overpowers it. When looking for a long putters for sale make sure that it will fit you. This is why we custom made every face-on putter for you. The Face on GP Putter is a 100% legal putting face because it isn’t anchored to the body. A common mistake that golfers make is to grip their clubs too tight; golf is about control and smoothness, not power and strength. This is especially true on the greens, and the best putter is one that allows for a firm yet relaxed grip. If you notice blisters on your hands or discomfort in your wrists after golfing, this is a sign that your grip is incorrect, and your club may need to be rewrapped. The best putter will allow for a more relaxed and controlled grip, so test this out as well when shopping for a new club. But when you are using the Face on Putting technique also call side saddle putting method approche with the GP putter we don’t have any grip problem. Where you could try all 3 golf clubs before you make your purchase. https://golf.duke.edu/ is open 7 days a week and has a great facility to try the golf clubs.